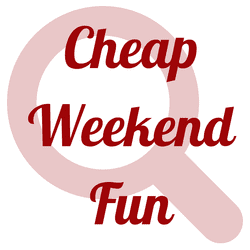 Cheap Weekend Fun in Boston for September 6-7, 2014! Happy first weekend in September! Here’s some fun and cheap things to do in Boston and Massachusetts this weekend! MFA Community Day: Sunday, September 7, 2014 at the Museum of Fine Arts in Boston. Celebrate twenty years of Malcolm Rogers as the MFA’s Ann and Graham Gund Director, with free admission and a day of fun and activities for the community. The Italian Feast of the Healing Saints: September 6-7, 2014 in Cambridge and Somerville. Enjoy an Italian Festival this weekend with music, games, food vendors and much more! Art in the Park: Saturday, September 6, 2014 at City Square Park in Charlestown. Check out the art of over 60 artists and artisans at Art in the Park. 22nd Annual Cambridge Carnival International: Sunday, September 7, 2014 in Cambridge. Celebrate Cambridge’s diversity with a parade, international foods, crafts and more! 2nd Annual Folk Music Festival: Saturday, September 6, 2014 in Harvard Square. Enjoy some free folk music from some up and coming folk musicians on Palmer Street. JP Music Fest: Saturday, September 6, 2014 in Jamaica Plain from 12-7pm. Enjoy free music directly from JP residents! Bank of America Weekend On Us: Saturday and Sunday, September 6-7, 2014. Bank of America & Merrill Lynch cardholders can get into select museums the first weekend of every month for free by showing their bank card (per cardholder, not family). Museum of Fine Arts, MIT Museum and other museums across the state participate. What are you up to this weekend? Any fun plans to be had?